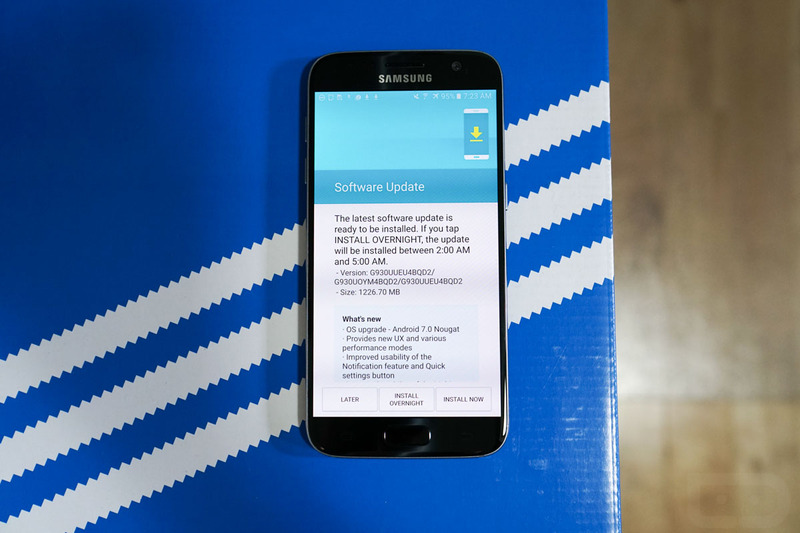 A week ago, the US unlocked Galaxy S7 Edge (SM-G935U) began receiving the update to Android Nougat through Samsung’s Smart Switch app. The regular Galaxy S7 was left out for reasons we’ll probably never know, but you no longer have to worry about that since the update arrived for the lonely device this morning. A couple of readers pinged us overnight, letting us know that the update was rolling out to the unlocked Galaxy S7 (SM-G930U) and we confirmed it (see image above). The update weighs in at 1.226GB and is indeed Android 7.0 Nougat. To grab the update, head into Settings>About>Download updates manually. You should be able to pull it right now.